Today fishing communities and farmers from India represented by EarthRights International (ERI) filed suit against the International Finance Corporation (IFC), the private-lending arm of the World Bank Group, in federal court in Washington, D.C. 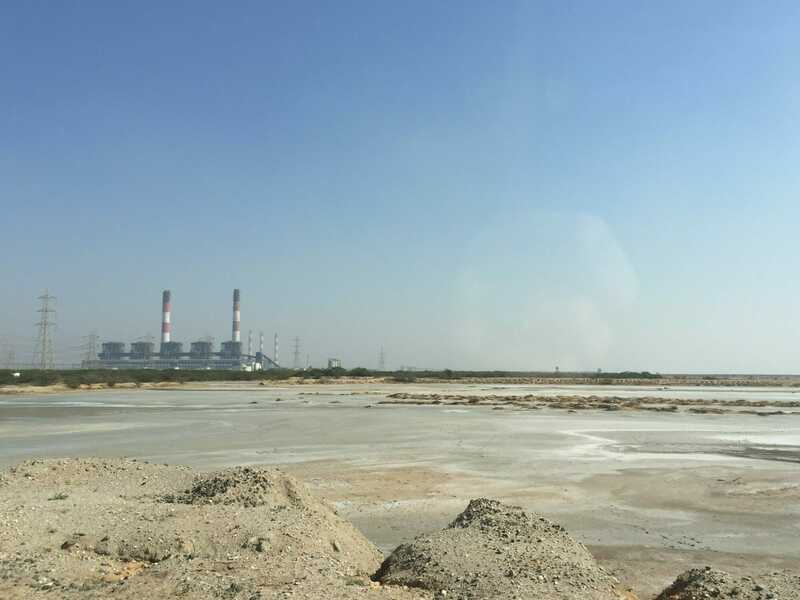 The plaintiffs allege that the IFC caused the loss of their livelihoods, destroyed their lands and water, and created threats to their health by funding the Tata Mundra coal-fired power plant in Gujarat, India. The 4,150 MW coal-fired power plant, owned by Tata Power, began operating at full capacity in 2013. According to the court complaint, the plant has already dramatically affected the lives of the people who live in its shadow. The thermal pollution discharged from the plant’s cooling system has led to a dramatic decline in the fish populations that local fishing communities depend on. The IFC provided a critical $450 million loan to the project, enabling its construction and giving it immense influence over project design and implementation. The IFC’s stated goals are to end extreme poverty and to carry out its investment activities “with the intent to ‘do no harm’ to people and the environment.” IFC borrowers are expected to take precautions to protect vulnerable communities’ and the environment, an obligation that the IFC is tasked with supervising, monitoring and enforcing. From the outset, the IFC recognized the significant risks the Tata Mundra project posed to local communities and their environment. It predicted that without proper management and mitigation, the project could have “significant” adverse impacts that “are diverse, irreversible or unprecedented.” Despite this, the IFC failed to take reasonable steps to prevent harm to nearby communities and failed to ensure that the project abides by the required environmental and social conditions of the IFC’s involvement. Even the IFC’s own accountability mechanism – the Compliance Advisor Ombudsman (CAO) – agreed. In 2013, the CAO issued one of its most scathing reports, finding that the IFC had failed to ensure the project met the applicable Environmental and Social Standards that had been made binding conditions of the IFC’s loan. “While the IFC is likely to argue that it is immune from suit, no institution should be above the law in a case where the risks were so obvious from the start, and the failure to act so damaging,” said Herz. The lawsuit seeks compensation for harm to property and economic livelihoods, and asks the court order the IFC to enforce the provisions of the loan agreement which were intended to protect local communities and the environment to minimize future harm. ERI also represents Mr. Ranubha Jadeja, a local farmer, the fishermen's organization, Machimar Adhikar Sangharsh Sangathan (MASS; in English, the Association for the Struggle for Fisherworkers’ Rights), and the Navinal Panchayat (village), a local government entity.